After a car accident, you may be dealing with injuries, car damage, time off work and other issues. The resulting financial strain may lead you to the mistaken conclusion that you cannot afford a lawyer. You do not need to pay up front for a lawyer’s services. In the State of California, you can hire an attorney on a contingency basis. Working on a contingency basis means that the attorney can work on your case now, and you will pay them later when the case settles. 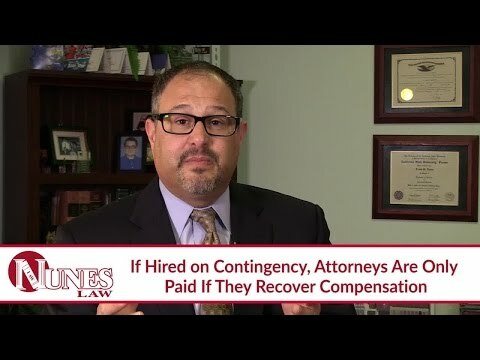 Another aspect of the contingency basis that favors the client is that the attorney only gets paid if they are able to recover something on your behalf. This is additional incentive for lawyers to represent you to the best of their abilities. If you have additional questions regarding hiring a lawyer on a contingency basis, I want you to call me at (559) 436-0850. Visit our educational website at www.NunesLaw.com, where you can view more videos and media content from our law firm.